“Digital disruption” takes on a new meaning in Paulo Genovese’s thoroughly entertaining comedy-drama. As a result of a dinner party dare that could only have been fueled by too many proseccos, a group of middle-class best friends decide to share everything incoming on their smartphones over the course of the evening – with disastrous results. The calls and texts start out innocuously enough, though with some clever scripting (and not a few contrivances), the revelations dramatically escalate, and the couples soon discover more about each other and their partners than they ever wanted to. Predictably, their lives fall apart – another thing to blame Apple and Google for! The talented line-up of Italian thesps includes many names familiar to fans of Palace’s annual Lavazza Italian Film Festival (Marco Giallini, Kasia Smutniak and I Am Love’s Alba Rohrwacher). This witty and sneakily subversive film opened the 2016 Fest. If you missed it then, don’t this time. Thanks to Palace Films we have 10 double passes to give away. See our Giveaways page for details. 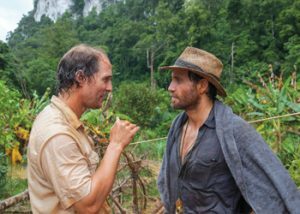 Academy Award winner Matthew McConaughey is the star of this rollicking mining drama, which is inspired by a real ’90s scandal. 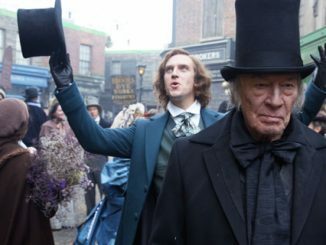 Directed by Stephen Gagan (Syriana), it’s the epic tale of one man’s pursuit of what we usually call “the American dream”, (fantasy really – getting rich off the backs of others). McConaughey, who sports an unfortunate bald patch and an unflattering paunch (reportedly from a diet of beer, cheeseburgers and milkshakes) plays Kenny Wells, a mining company executive whose company is going under. Desperate for a lucky break he teams up with a go-getting but enigmatic geologist (Édgar Ramirez) to look for gold deep in the uncharted jungle of Indonesia. It’s a hard slog in the soggy heat and constant rain, but they do strike it rich, big time. But with much smarter Wall Street types circling, keeping that precious metal is way harder than just finding it. Strike it lucky too! We have 5 double in-season passes to Gold to give away. See our Giveaways page for details. 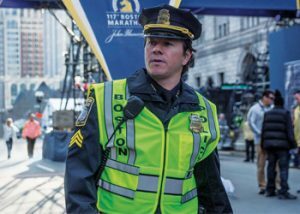 Mark Wahlberg, who plays a low-level cop (he’s also the film’s producer), pops up in just about every major twist and turn of the Boston Marathon bombing and subsequent manhunt. That’s just about the only jarring note in Peter Berg’s (Deepwater Horizon) otherwise pitch perfect re-telling of the 2013 tragedy. Fortunately, its jittery camera follows others as well (John Goodman, Kevin Bacon, J.K. Simmons, Michele Monaghan) and the cast is terrific. Even if you’re familiar with what happened, it’s a viscerally thrilling story, respectfully told – as well as serving an intensely moving tribute to the city’s unsung heroes. And for once at the movies, we finally meet some Boston cops who don’t have a brother/father/best friend in the mob. Apparently they exist! 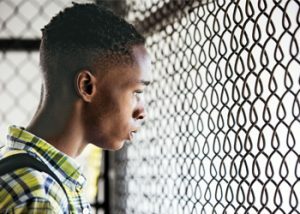 Even before its Golden Globes win, writer-director Barry Jenkins’ tale of a boy’s passage from childhood to maturity in a tough Miami neighbourhood was being showered with love. Extravagantly so… and too much praise just makes some suspicious. Especially as this is about a marginalised young black gay man who has a tough life, and a lot of white liberal boxes are being ticked. Accordingly, the New York Times labelled it “the year’s best movie” – though its venerable critic A.O. Scott admits that he was left “trying to decide what it was about.” That’s deliberately obscure, although the bold way Moonlight ventures into terrain seldom explored – the way our culture brutally moulds its men, is under no doubt. Dreamily shot, short on exposition with ultra sparse dialogue (especially in the first act), it still manages to paint the lives of everyone in it with vividly revealing brushstrokes. There’s also a beautiful, haunting soundtrack which will stay with you for a long time after its abrubt ending. Like all challenging films – that may invite widely diverse responses, though some critics piling on the superlatives just seem confused. One suggested it had something to do with racism, though we never even see a single white person so I’m not sure about that. But I did learn something: what flashy drug dealers do with their gold teeth when they eat. Their dental hygienists will thank them for this – they take them out. 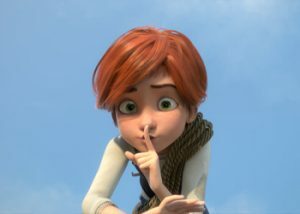 Not all kids animations have to feature animals who speak perfect English or heroes who continually burst into song, in fact this Canadian–French co-production sticks to the formula which made Frozen such a huge success for Disney. It even has a pretty familiar sounding score, though (fortunately) no one single song annoyingly catchy enough to stick around forever after in your head. The story follows ambitious young orphan Félicie (Elle Fanning) from Brittany in the 1800s and her journey to Paris to fulfill her dreams of becoming a prima ballerina. Along the way she gets some ingenious help from her best friend, aspiring inventor Victor (Dane DeHaan); then has to fight like mad with bitchy dancers, an overbearing maestro and a wicked jealous mother of a rival; but most all – discover the inspiration that will make her a real dancer. Aimed squarely at girls (of most ages – the story has remarkable similarities to adult-orientated fare like Black Swan), but their parents and brothers will enjoy it all too. For them there’s plenty of fast paced action, ingenious slapstick, and even a couple of classic fart jokes. Three teenage girls are sitting in car waiting for the father of one to drive them home from a party, too busy with their Facebook feeds to notice that a heavy-duty creep (James McAvoy) has just slid into the driver’s seat. He sprays them and they wake in a dungeon, soon learning that they’re not just dealing with one scary dude, but 23. The one smart (well, smart-ish, I don’t think I’ve ever seen anyone quite so hopeless in any horror movie) girl (Ana Taylor-Joy) figures they can play his various identities against one another and find a way out, but writer/director M. Night Shymalan has something way more conventional in mind. And the fates of most of his female characters, including Kevin’s supportive psychiatrist (Betty Buckley) – who turns up at a convenient time and wanders into a dark gloomy labyrinth of locked cells (yes, you’d do that, wouldn’t you) – are pretty much as expected. 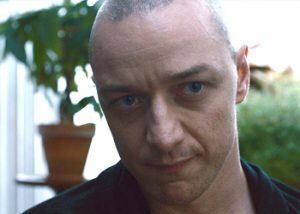 McAvoy gives it his all and is intermittently interesting as the monstrous nutter, and there are the predicable shocks and grisly thrills, but at least one of the flashbacks is just gratuitously nasty. Usually with this type of movie, which relies heavily on plot twists, the media are required to sign restrictive embargoes, but Universal appears quite confident about this one, just politely asking us not to reveal spoilers. Well, I’d never do that but the “that’s so amazing!” one you’ve probably already heard about, which actually occurs just as the final credits start, could easily sail right over the top of your head. It did mine, and yes there’s the Internet to tell all, but most us might prefer a genuine shock.